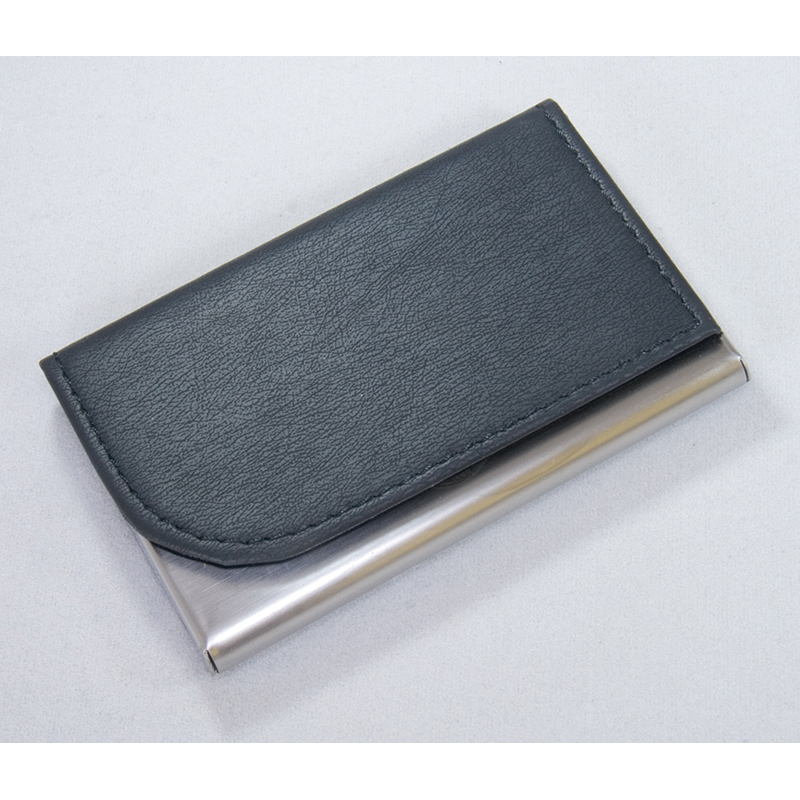 Luxurious soft PU with Stainless Steel base. 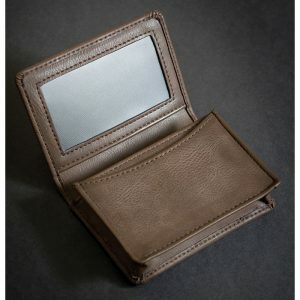 Black suedette lining. 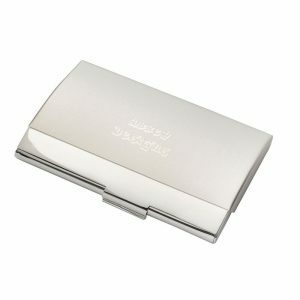 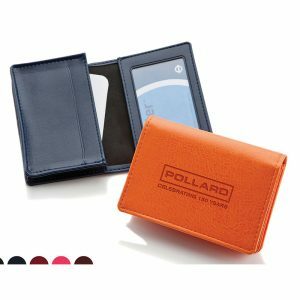 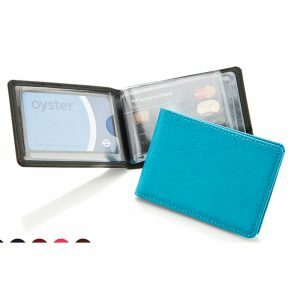 Belluno Leatherette Credit Card Case for 6-8 Cards.